Could I Ski at Campbell Icefield Chalet ? 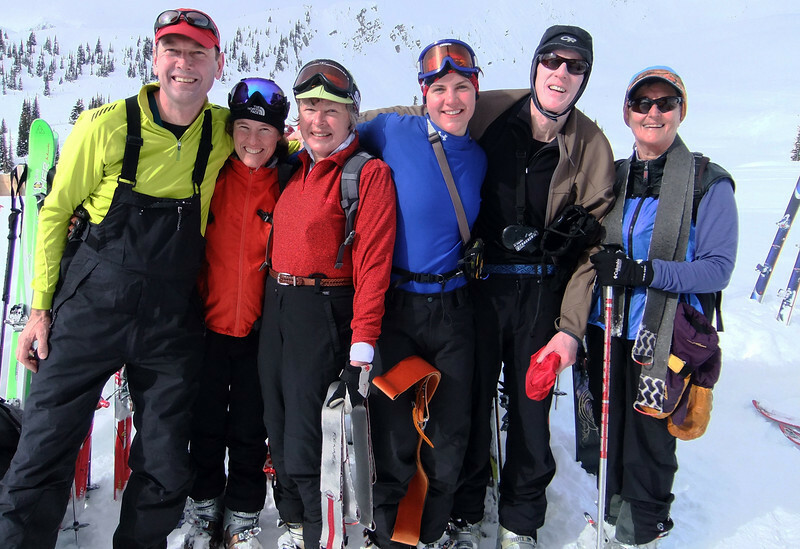 Campbell Icefield Chalet Ski Touring Week March 19 to 26th 2011. We flew with Don McTighe of Alpine Helicopters from Donald a 1/2 hour west of Golden B.C. This year we enjoyed the company of a group of 5 Italian skiers led by their guide Luca Gasparini. The Canadian Guides were Kirsten Knechtel from Parsons, B.C. and Bernie Scheisser from Golden, B.C. Our professional chef for the week was Tara Sylvester from Revelstoke. For the first time we brought with us two students from the The Okanagan Valley College of Massage Therapy Ltd. is located in the beautiful Okanagan Valley, Vernon, British Columbia: Shauna McGowan and Susanne Ross. Trip ski highlights: Sat PM: the Dome; Sunday: the trees below the cabin; Monday - Diamond Dust and descent of the High Col by the Italian skiers; Tuesday - Bluewater Glacier to the Col; Wed - Prior Glacier and decent from the High Col; Thurs - Mt. Alan Campbell nearly to the peak / East Peak nearly to the Col; Friday East Peak / the Dome. Skier of the Week Honours: rookie Susanne Ross, Vernon B.C.